The Finance Ministry of Ukraine plans that national joint-stock company Naftogaz Ukrainy would not have deficit in 2016, Finance Minister Natalie Jaresko said reporting on the results of the ministry's work for one year. 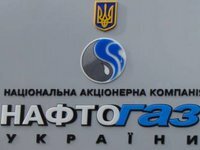 "The deficit of Naftogaz in 2014 was UAH 87 billion. It will fall to a zero next year," she said on Wednesday.